Now we’re up to our necks in amazing content. Netflix jumped into the realm of original programming with hit series like ‘Daredevil,’ and ‘Game of Thrones’ on HBO has been one of the most successful – and amazing – series of all time. We live in a remarkable time, with thoroughly literate programming that has broken from the four-camera sit-coms of the past. I’m currently catching up with ‘Preacher’ and ‘Mr Robot.’ There’s more good television out there than feature-length film. A ten episode run, simply stated, lends more time – ten one-hour episodes, on average – than anything that can be achieved in a two-hour feature film. And audiences want character development. I’m a photographer and I’m an artist, and I love all of these amazing stories. Raised on Stephen King novels and comic books and Saturday morning cartoons, I can’t help but be super-excited by all of the amazing storytelling we’re seeing today. We’re halfway between the conclusion of ‘Better Call Saul’ season two and the premier of season three. 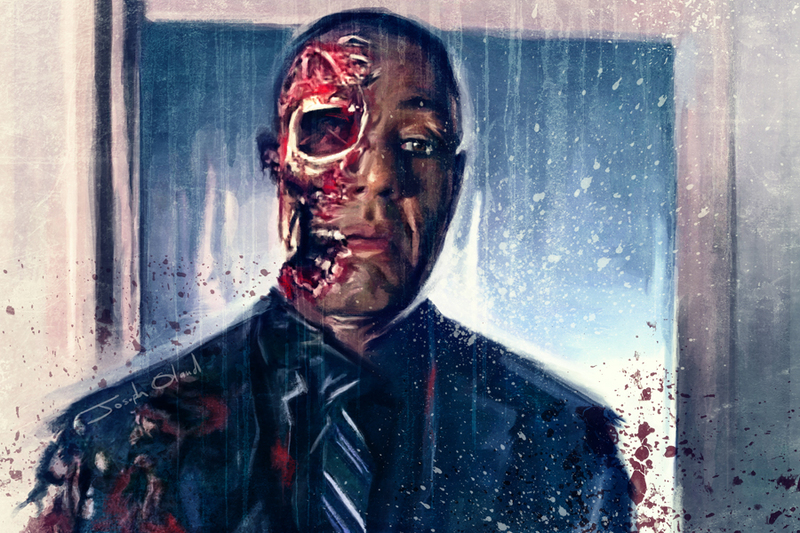 And Gus Fring – expertly portrayed by actor Giancarlo Esposito – is destined to reprise his role in the opening episode. Fans of ‘Breaking Bad’ already know how he died, but now we get to learn more about how he built his drug empire. I know that I’m not alone. It’s going to be a rush to see how “Slippin'” Jimmy McGill and “troll under the bridge” Mike Ehrmantraut first make contact with the calculating crime lord Gus Fring. The show has been a slow burn, boring a lot of viewers, but good story-telling takes time. I expect things to really heat up with the season three debut. This entry was posted in Breaking Bad, The Gilligan-Verse and tagged Better Call Saul, blue meth, bomb, Breaking Bad, call saul, cranston, crime, gilligan, gus fring, heisenberg, meth, new mexico, walter white. Bookmark the permalink.